September month of 2017 has made Bengaluru to beat the best of hill stations in India. Last week, at about 3 pm, it was so cold and drizzling that left most of us on road literally shivering. 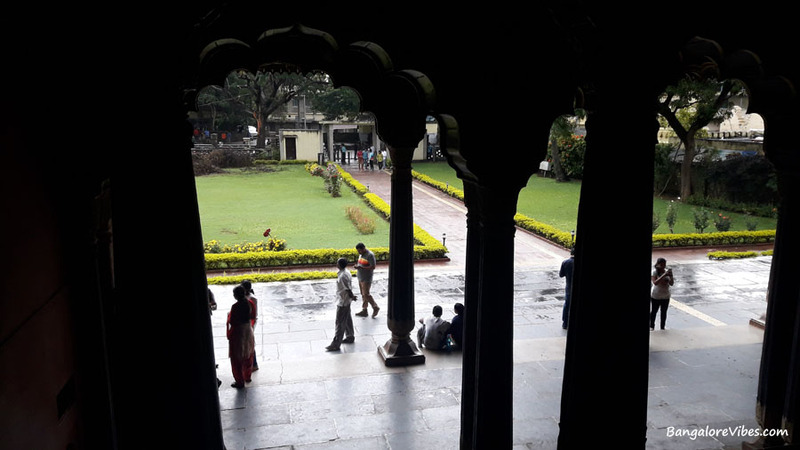 I had to return home from half way to the Tipu Sultan Summer palace in Bangalore due to heavy rains, traffic and short of time. Last Sunday, with little hope of venturing out due to the intermittent rains, I managed to step out at 3 pm. The sky was changing its colours from bright to hazy just as the lights at home do when there is an electricity fluctuation. I knew that heavy drops of water would hit my face rapidly before I reach my destination. I somehow dodged the rain until KR Market, and there the rain became so intense that I had to pull out near a shop to avoid getting fully drenched. It was already 3.45 pm and the palace would close by 5.30 pm. I had to stop near KR Market. 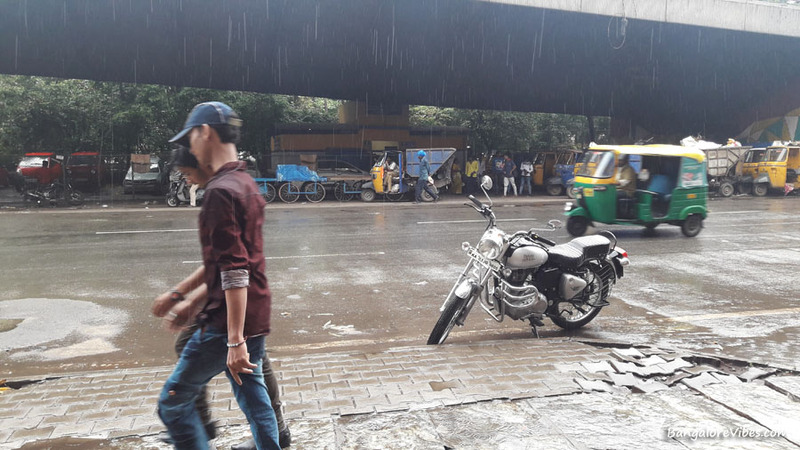 I am a person who loves to ride my motorcycle when it is drizzling. Would you not love that? While I was waiting for the rains to recede, I was already wet with visible water drop marks on my cloths. My Royal Enfield motorcycle looked so pretty with the twinkling droplets of water on the silver colour tank, handlebar and the mirrors. On a Sunday, most of the shops in this locality are closed. 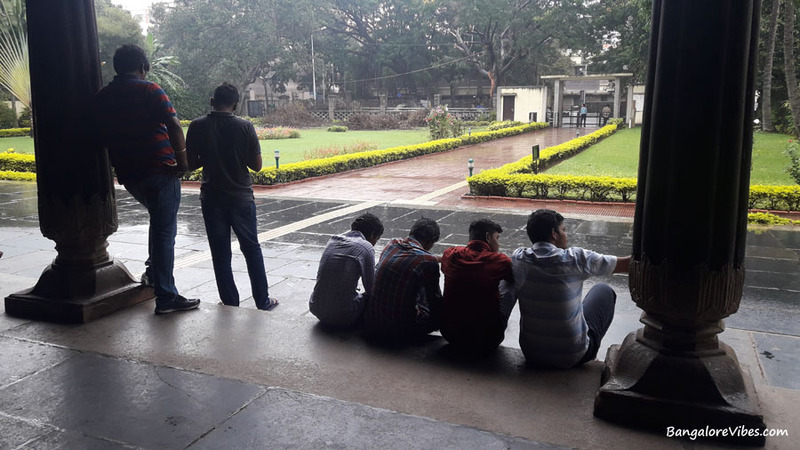 However, some people would never seize to work, be it a weekday or a weekend, or whatever festive day it is, and those type of people are here in this busy market area of Bengaluru. The weather was so good, perfect for a pint of beer. I did lookout for a pub nearby, did not find one! It was only a few minutes of wait and I set going. I had come to this palace couple of years ago, had parked my bike inside the Indian Medical Association complex then. This is not the official parking space for the palace visitors. Where would the visitors park their vehicle then? 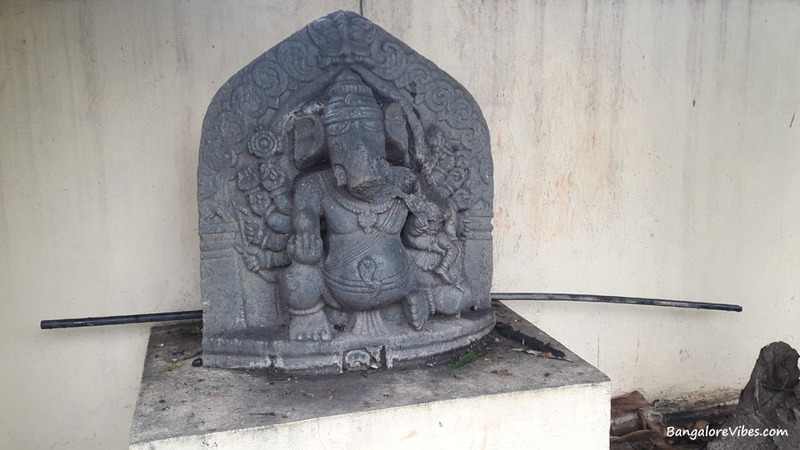 The security stated that visitors park their two-wheeler in the adjacent road, in front of the temple and there is a parking facility for the cars in the opposite building of the palace. Tipu Sultan Summer Palace Timings is from 9.30 am to 5.30 pm. The entry fee is Rs. 15 per head. Tipu Sultan’s Palace timings is from 8.30 am to 5.30 pm. The entry fee is Rs. 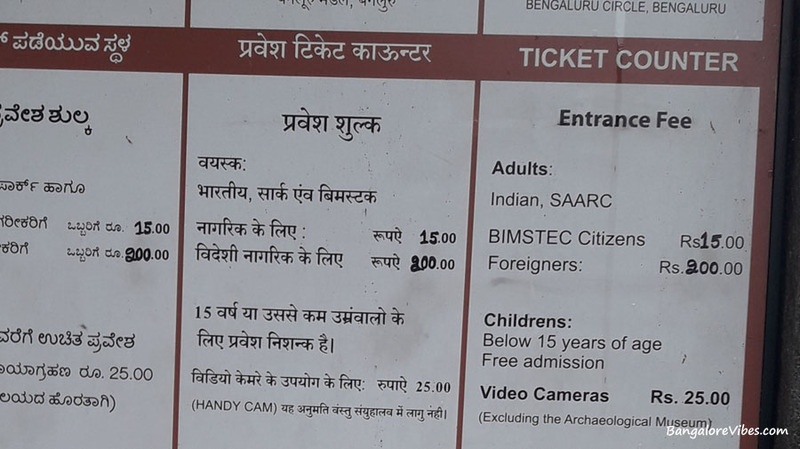 15 per head for the Indians and those coming from the country listed under SAARC and BIMSTEC. For other foreign visitors, it is Rs 200 per head. I dislike this type of bias and would appreciate equal fee for everybody irrespective of where they are coming from. The foreign tourists contribute a lot to the economy of the country and we should not discourage them by asking more. I made it to the Tippu’s palace by 4.15 pm and it seemed like not an ideal time to be here for those intend to photograph. The two centuries old interiors of this palace was partially dark without much light penetrating from the outside. For the photographers, the external flash would come in handy but the flickering tube lights inside the complex giving out intermittent dull light is something which one will not appreciate in their snaps. However, this did not deter anybody from capturing the best moments they would came across. I saw all types of photographers in one roof, the professionals, amateurs and even the selfie addicts. It was pouring outside all the time while I was inside the Tipu’s Summer Palace. With not enough light inside this heritage structure, I somehow managed to get decent photographs for the sake of this post. Thanks to my Samsung J7 Nxt. While the rain seized for a moment, I took the opportunity to go out and capture the 200-year-old structure from outside. View of museum from inside Tipu Sultan’s Summer Palace. 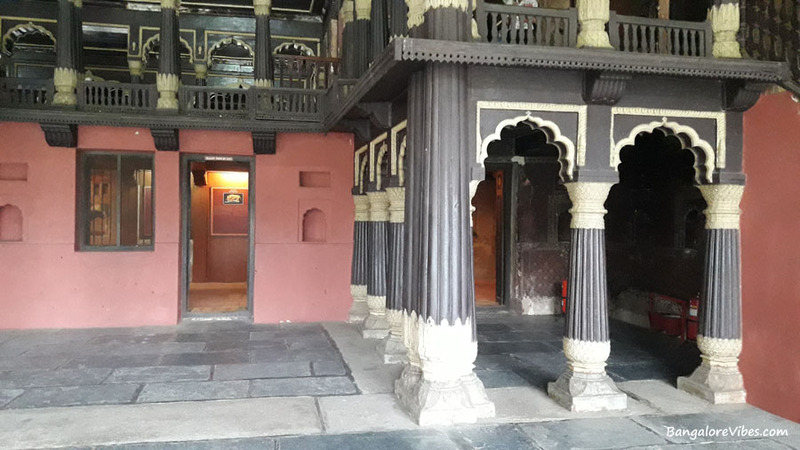 The first time visitors to the Tipu’s Palace would directly hit the museum inside. The museum has invaluable paintings of Tipu Sultan, his throne and the Summer Palace itself. One can find the tourists reading the history of the Tipoo Sahib and his achievements. There is also a sword and a small wooden tiger on display. The security guard would not allow photographing inside the museum but still you can find people using their smartphones stealthily. 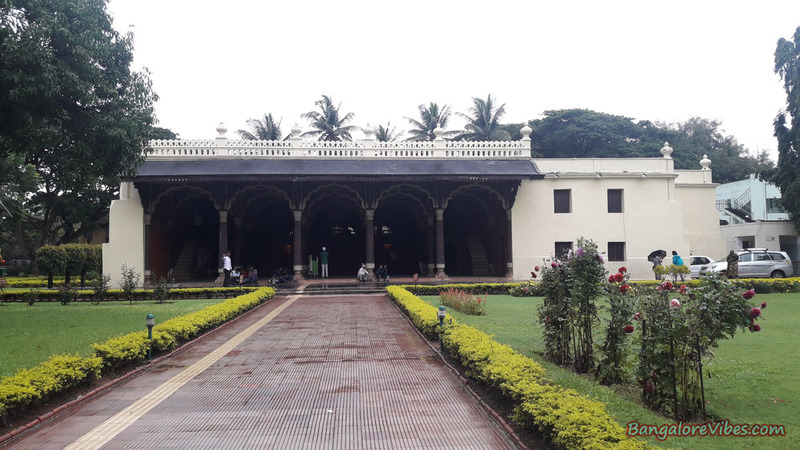 Only part of the Tippu’s palace is open to the visitors while some of the rooms serve as an administrative office and a storehouse. As if this is not enough, more buildings have come up in the complex for administrative and restroom purpose. Those who are much into history and antiques would love to be here for more hours than others were. 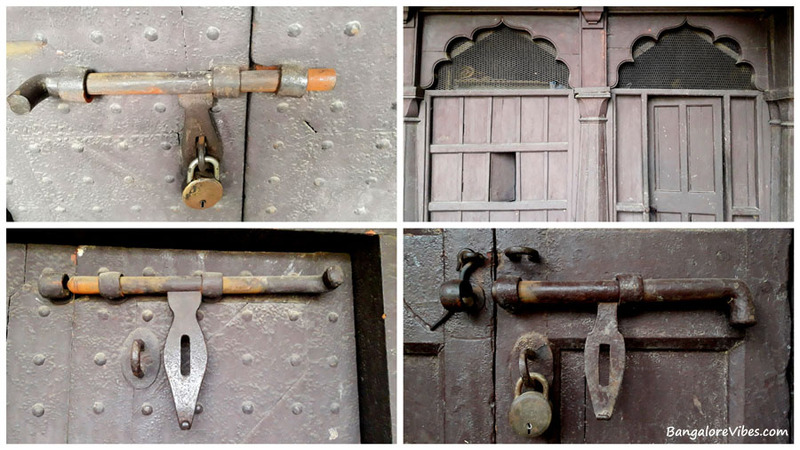 The heavy pillars, wooden doors, iron latches that are 200 years old is fascinating. The authorities have managed to replace the missing parts but that is not of much interest. However, most of the items here that belonged to Tippu’s era is still intact. I’ve been there 2 years ago! found this refreshing!! thanks!